Prior to his death, Jesus told the scribes and Pharisees, “For as Jonah was three days and three nights in the belly of the great fish, so will the Son of Man be three days and three nights in the heart of the earth” (Matthew 12:40). 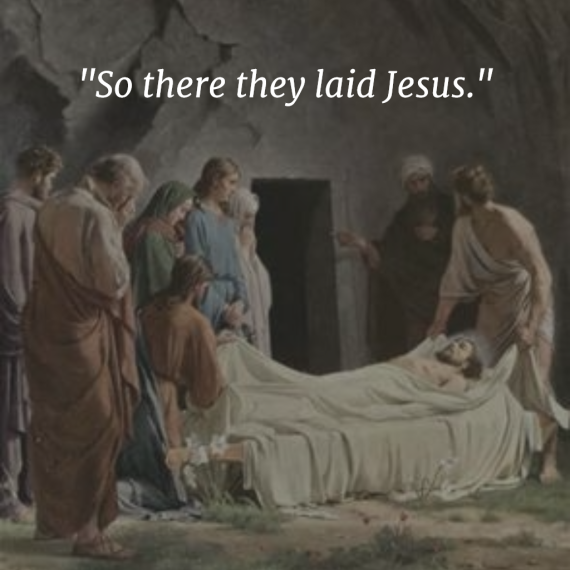 For the chief priests and Pharisees, secure burial has proof that Jesus had died. On the day after Jesus’ crucifixion, they came to Pilate saying, “Sir, we remember, while He was still alive, how that deceiver said, ‘After three days I will rise.’ Therefore command that the tomb be made secure until the third day, lest His disciples come by night and steal Him away, and say to the people, ‘He has risen from the dead.’ So the last deception will be worse than the first” (Matthew 27:63-64). If anyone today thinks that Jesus did not really die, they must either reject the Biblical record or imagine that Jesus was entombed alive. When the angel came and rolled back the stone from the door, the guards shook like dead men. The angel comforted the women, “Do not be afraid, for I know that you seek Jesus who was crucified. He is not here; for He is risen, as He said. Come, see the place where the Lord lay” (Matthew 27:5-6). Jesus was really dead, and really came back to life. His burial proves it. #4 JESUS’ BURIAL INSTRUCTS THE BELIEVER. Our spiritual burial with Christ confirms our death to sin’s hold on us. And our spiritual burial with Christ validates the reality of our resurrection to newness of life (Rom. 6:5-11). “For I delivered to you first of all that which I also received: that Christ died for our sins according to the Scriptures, and that He was buried, and that He rose again the third day according to the Scriptures” (1 Corinthians 15:3-4, emphasis mine). Let’s be precise when we communicate the crux of Jesus’ work on behalf of all humankind!